The bedroom is one of the most important rooms in the house to design. Bedroom décor needs to offer an environment where you relax, recharge and get a good night sleep. 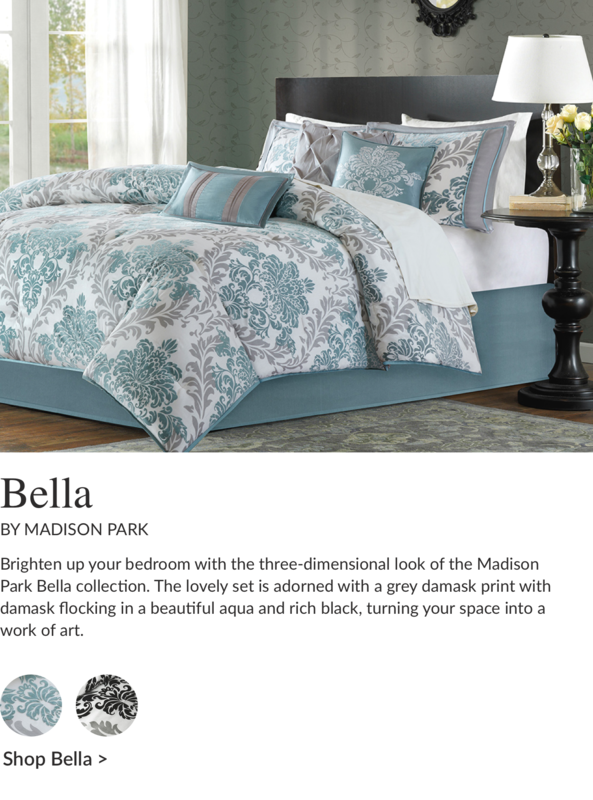 Find the perfect luxury bedding collection to design your dream bedroom. 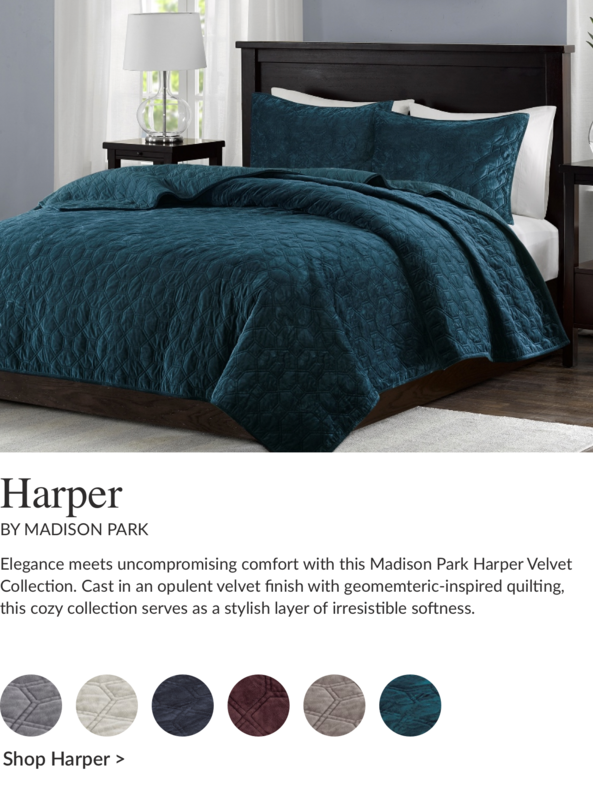 Designer living offers a vast selection of designer bedding sets from popular brands like Hampton Hill, Avenue 8, Premier Comfort, Madison Park and more! 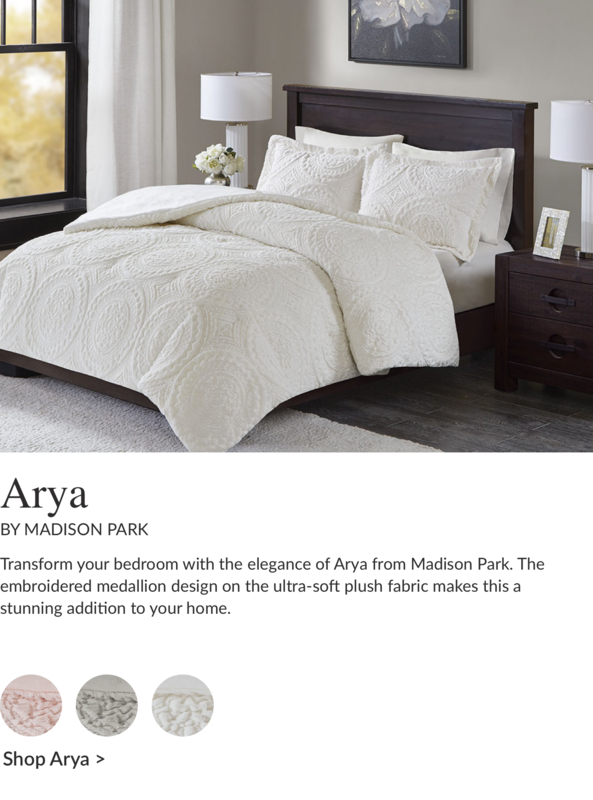 While browsing our luxury bedding sets you’ll find bedding collections that range from contemporary, rustic, simple, and modern. Our selection contains a variety of colors including blues, black, red, purple, and more! Designer Living’s collection of duvet covers come in all types of sizes including twin, full, queen, and king sizes. 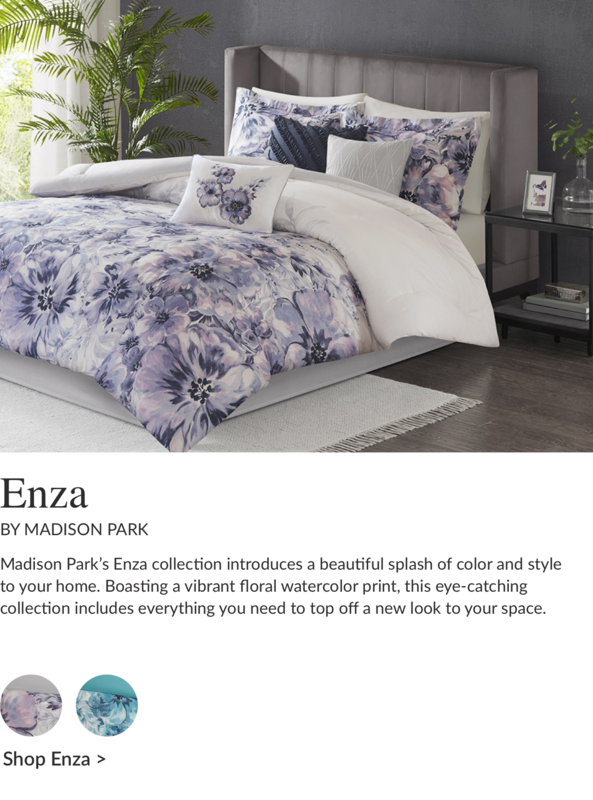 Find a duvet cover unique to your style whether it’s plain, modern, or full of colors. 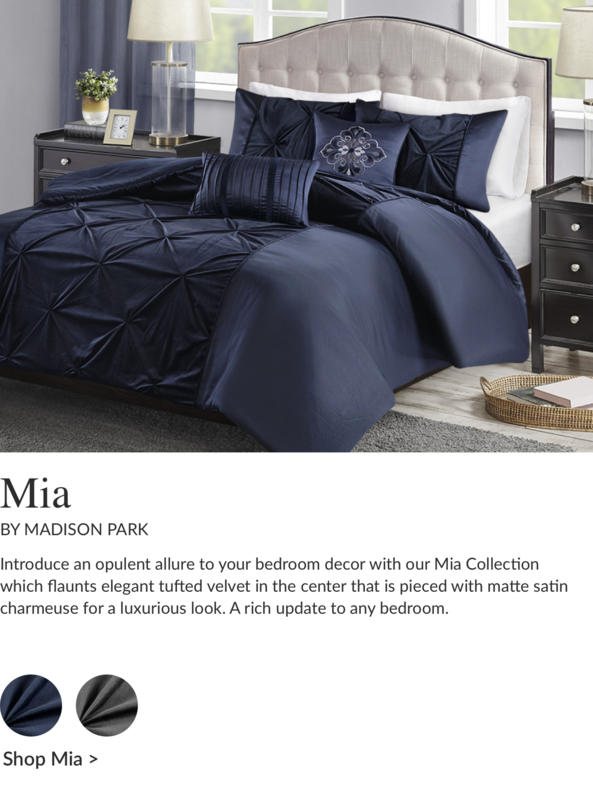 Our comforter sets are very high end and offer a great design feature to any bedroom. 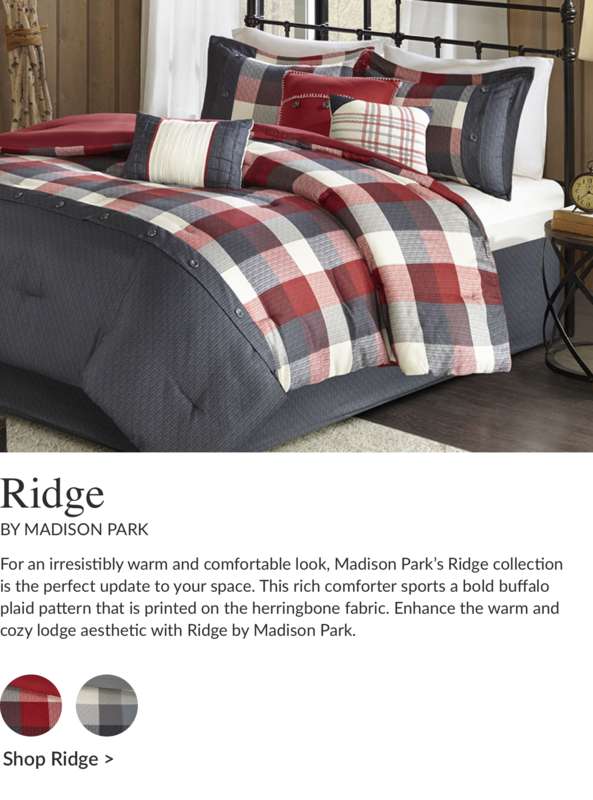 Whether you’re looking to style a guest bedroom or redo your own, we have one of the largest varieties of bed comforter sets and bedding collections available online. Get all the design elements you need with all the finishing touches like pillow cases, shams, bed skirts, bed runners, and decorative pillows. We also have designer child bedding sets and crib bedding.